We're fans of shows that transport us to new locations - whether we actually visit or not. A new twist on the classic travel show includes the stories and cultures that Travel Channel's host, Jack Maxwell encounters on Booze Traveler. On his way to Tahiti, Jack told us about the show, where he'd like to film and what he's learned doing the show. 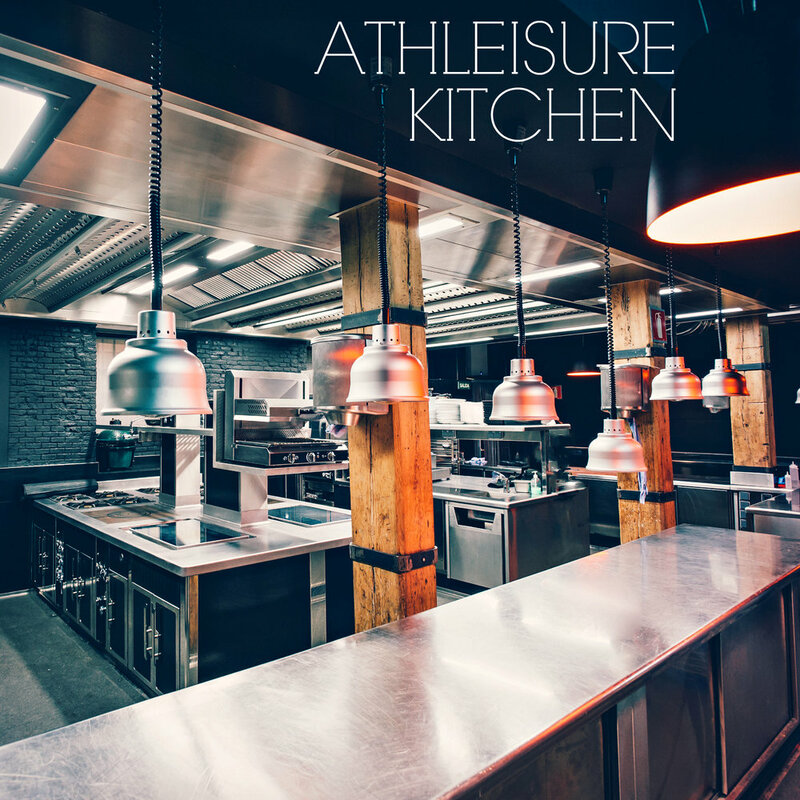 ATHLEISURE MAG: Tell us about your background - how did you become the Booze Traveler and had you ever bartended before or done anything in the alcohol industry? JACK MAXWELL: Growing up shining shoes in the bar rooms of South Boston, I fell in love with the magical combination of booze, travel, adventure and storytelling. My neighborhood was filled with divey pubs and all sorts of characters who loved a drink and a story. AM: Although the show follows you drinking through various countries, it's not really about drinking per se, but more of an Anthony Bourdain style (which we're fans of too) of the culture behind why one drinks or the history behind certain beverages. Why do you think that this resonates with viewers and what have you learned after doing this for 3 seasons? JM: Maybe “Booze Traveler” resonates because we meet such interesting people, with really great stories. Hopefully my gratitude for that, along with my natural curiosity and joy for life, comes across. AM: How important is interacting with the culture and sharing it with viewers of The Travel Channel? JM: It's what the show is all about. The drink just gets us into the scene. It's all about the people and the culture. AM: We loved when you drank vodka at Lake Baikal in Siberia and also enjoyed the episode of the Smoothie in Belize - what was your favorite country to enjoy a drink and what was it? JM: I really loved having an authentic Mojito in Cuba. Drinking great Port while sailing the river through the Douro Valley in Portugal was another favorite. Having cocktails with the Conch Republic in Key West while fighting the Coast Guard, and zip lining through downtown Las Vegas with a Dean Martin impersonator were both fun, unforgettable experiences. AM: Where would you like to film next and what beverage story would you like to learn about there? JM: Having filmed Booze Traveler in roughly 50 countries - covering six continents - has been wonderful, a real eye-opener. I would love to find a native tribe somewhere yet to be discovered and have a drink with them. That would be fantastic. AM: The show is an hour, but we see you enjoying a number of beverages and finding a particular drink, what is it like when you are taping for one of these shows? JM: I probably don't put away as much booze as it seems. A lot of what you see on the show happens off camera, too. The camaraderie is real. The travel can be a grind, but the crew is great and we keep each other loose. AM: With all of the traveling and beverages, do you detox or cleanse and what workouts do you do? JM: I like to tell people I only drink at work, which is mostly true. Hard to pass up a nice bottle of wine with dinner though or a celebratory cocktail when I reunite with friends. Don't work out as much as I'd like. We are constantly on the road shooting long days, which I'm exhausted by the end of. I should do a better job of getting to the gym. AM: What is your personal style in terms of what you wear to go out with friends or to run errands? AM: You take a lot of flights, what is on your playlist and how do you make your travels more comfortable for long flights or for various legs on a trip? JM: I have a lot of nice relaxing music on my iPod. When I want to get in the mood I play some Stones or Frank Sinatra, as different as those two are. Make sure I have a sleep mask and wax (not foam) earplugs on the plane. The wax kills a lot of the ambient noise; the mask helps you sleep. A few hours here and there make a difference. AM: How do you manage jet lag - any tips that you can share? JM: I try to drink as much water as I can. Keeps me hydrated and makes me get up and go to the bathroom. Great for circulation. DVT can be an issue on long flights, although I've never had a problem with it. AM: When you're in between seasons, what would we find you doing? JM: Visiting family. Hanging with friends. Resting. Probably won't see me on an airplane. AM: Can you tell us if there is a season 4 and what locales are on your bucket list? JM: We are filming season four of Booze Traveler right now. Very excited about the Tahiti episode. So tropically beautiful and naturally exotic. Also, Italy, Costa Rica, Norway and Romania. AM: What tips do you have for traveling like a pro this summer from packing, essentials for your carry on and when you get to your final destination? JM: Travel light. You probably don't need as many clothes as you think. Bring comfortable shoes. Don't make too many plans. The trip will be a blur and you'll have covered some distance, but won't remember as much as you should. Go off the beaten path. Duck into a café and talk to strangers. You might be surprised. AM: Feel free to tell us where we will see you next, whether it's an upcoming project or if you have philanthropies/charities that you are involved in! JM: Very fortunate to be entrusted with a second show for Travel Channel called “Booze Traveler: Best Bars.” It's a pub crawl through all the best bars in the US. You will find me handing out toys at the Maricopa County Sheriff’s Dept. Holiday Toy Drive in Phoenix every Christmas. My lifelong friend, Roy Catalo, is the chairman. One of the great joys in life is seeing the face of an underprivileged kid light up like a Lite-Brite when they pick out a toy they never thought they'd get. Read more from the May Issue and see Sip The World with Jack Maxwell in mag.